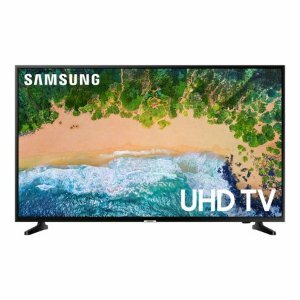 Walmart offers the SAMSUNG 55" Class 4K (2160P) UHD Smart LED TV UN55NU6900 for $398. Features: Step up from Full HD with the clarity of the UN55NU6900. Get 4X the resolution of Full HD, plus non-4K TV content is upscaled to 4K via a powerful UHD Engine. This TV is a clear upgrade for your content.